The most iconic Peanut Butter Cup has gone crunchy, hello and welcome to Reese’s Crunchy Peanut Butter Cups. I have only ever seen variations of chocolate coating so I was particularly excited by the deviation of a smooth filling for a crunchy number. The reason we have not seen these readily available is because these Reese’s Crunchy Peanut Butter Cups were in fact a limited edition and have come around the limited edition block a few times. 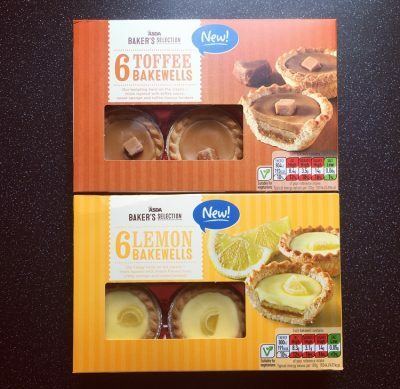 So lets get our crunch factor on and get tasting. As ever the cups were immaculate in shape and placed within their little crinkly wrappers. 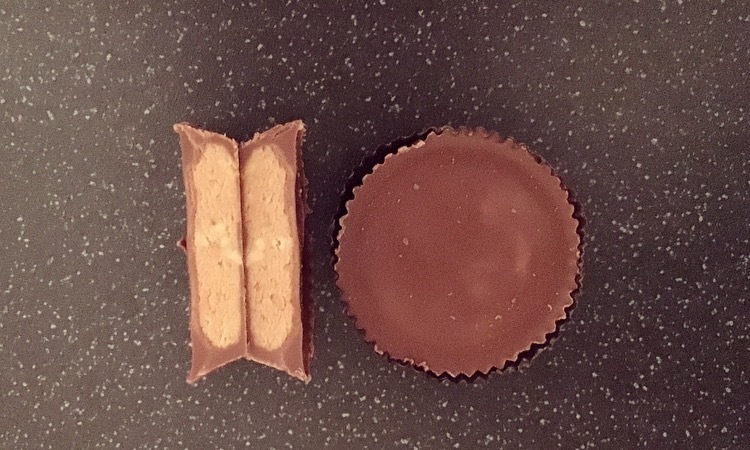 Cutting open there, as expected, was a thick milk chocolate cup and an even thicker peanut butter filling. Most crunchy peanut butters I have had have smaller chunks of peanuts, so I was a tad surprised that Reese’s had opted for just halved peanuts, at which most seemed to have congregated into the middle of the cup. Maybe that is where the party was happening! 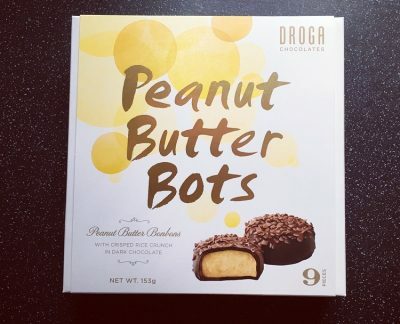 Taste wise these are exactly like the standard Reese’s Peanut Butter Cups, smooth sweet chocolate which is better than most American chocolate, counteracted with a smooth peanut butter that is thick in consistency, with a smidge of saltiness to it. Where does the crunch factor come into it? Well it kind of does in the sense that the texture changes slightly when you hit a peanut but there weren’t really many peanuts in it to make it crunchy. Bizarre. As far as Reese’s Peanut Butter Cups go these are still yummy and I happily ate them both and would do so again. However if you are going to say it’s crunchy then please make it so. 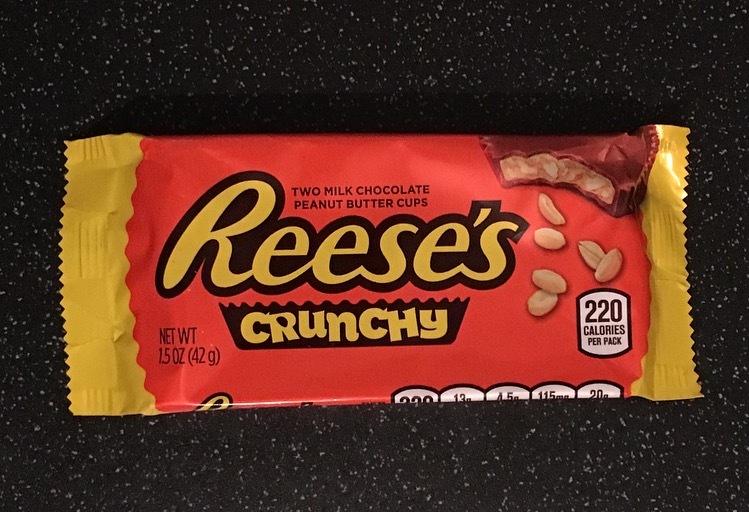 Whether it be more halved peanuts within the filling or chopping peanuts up to make a consistent crunchy filling I don’t mind, just give us some crunch factor please Reese’s.